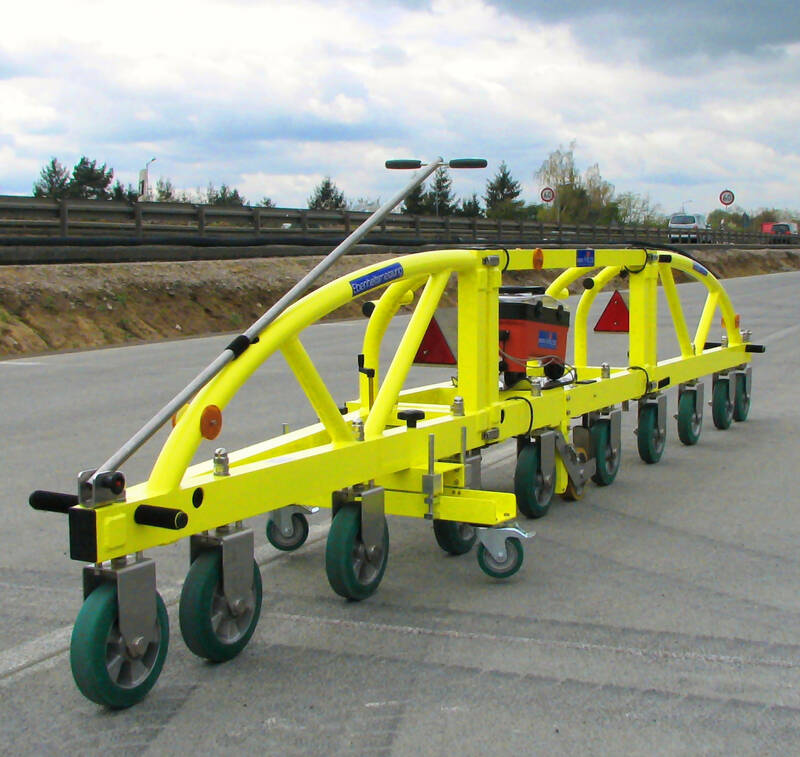 The Planograph is used to determine the smoothness of road surfaces in a longitudinal profile. It detects deviations in the road surface central to a 4 m long virtual zero line almost continuously and is made up of a frame with 10 running wheels, a support wheel, a measuring wheel and a drawbar. The Planograph is pulled along the length of the road surface by the person carrying out the inspection. During this process, the distance covered and the vertical movement of the measuring wheel below the zero line are recorded on an SD card. 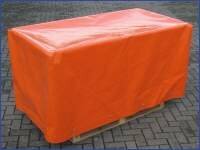 When the limit – usually of 4 mm – is exceeded, a warning signal sounds and the value is recorded separately for the calculation (p, p²). The electronic assembly is housed in a sturdy, water-protected casing that is fastened to the Planograph with a lashing strap. The analysis of the distance covered is carried out automatically at the end of the measuring process and can be printed on the integrated mini-printer. To process the data on a PC, an Excel® template is included with which the smoothness profile along the entire distance can be displayed in diagrams. 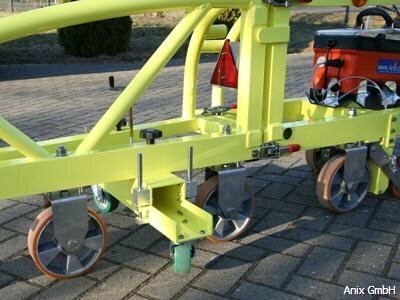 The new Planograph AX®02 of the Anix GmbH consists of three single segments. This separable four-meter long construction made of aluminum and stainless steel allows an easy transport. 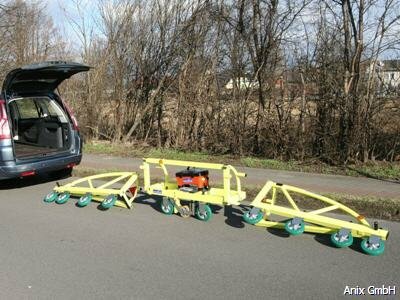 A special trailer is not required and even an estate car can be used for the transport. The Planograph can be connected on site by just one person. The crucial factor for the quality and function of a Planograph is the deflection of the frame. A deflection of 0.8 mm is allowed and the new Planograph AX®02 meets this requirement with enough reserve! 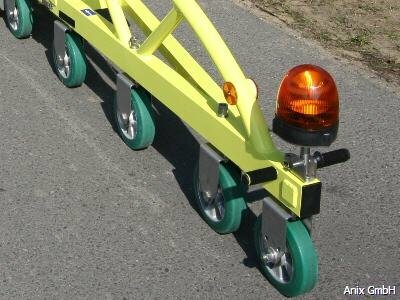 Also new is the fixed wheel suspension which happens by means of vertical adjustable screws. 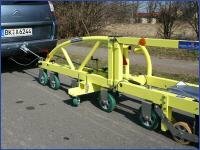 The separable Planograph can be carried by one person with the hand draw bar, alternatively the car drawbar permits the carriage of the Planograph by car in walking speed. The modern electronic evaluation device can be used on the Planograph or in the vehicle which is pulling it. During the measurement the electronic evaluation device records the exceeding p and p² as well as the flatness structure along the entire distance on an SD-card. The evaluation of the measurement is generated automatically and can be displayed on the built-in mini printer immediately on site. In addition, the evaluation can be displayed and printed in diagrams on the PC. Planograph AX®02 – Operation with a vehicle. Planograph AX®02 – Use of the beacon. 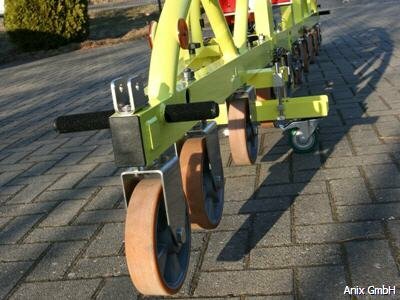 Planograph AX®02 – Measuring the flatness on road surfaces. 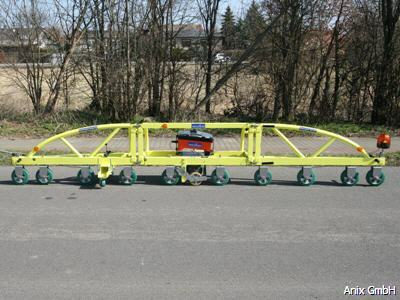 Planograph AX®02 – Assembling the three segments after the transport. Planograph AX®02 – Connecting the segments. Planograph AX®02 – The transport box ADVANCED. 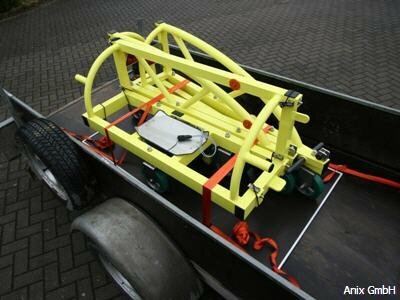 Planograph AX®02 – The transport box ADVANCED on a trailer. Planograph AX®02 – The transport box PROFESSIONAL VARIO. 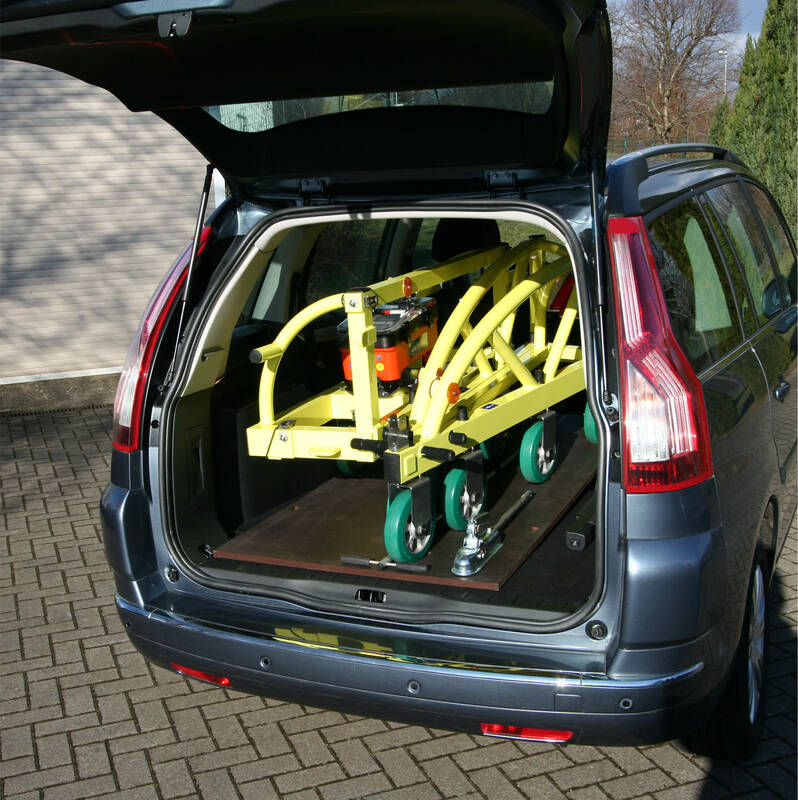 Planograph AX®02 – Transportation in a car with the transport plate BASIC. Planograph AX®02 – Assembling of the three segments after the transport in a car. Planograph AX®02 – The segments of the Planograph on the transport plate BASIC. 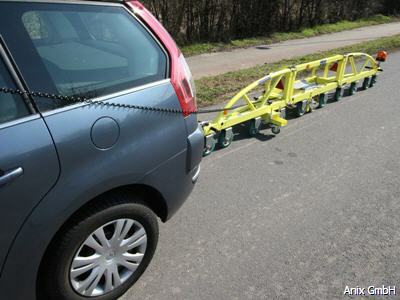 Planograph AX®02 – Transportation of the transport plate BASIC on a trailer.